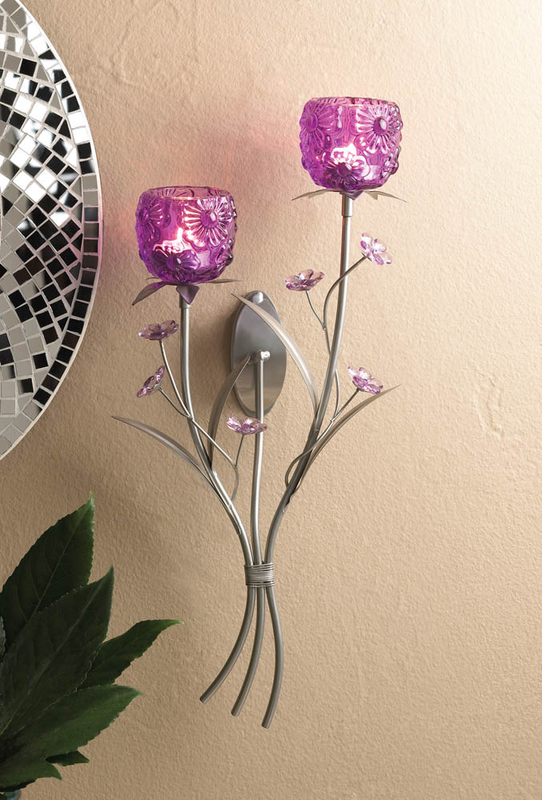 Light your wall with brilliant fuchsia shine from this stunning floral candle holder wall sconce. 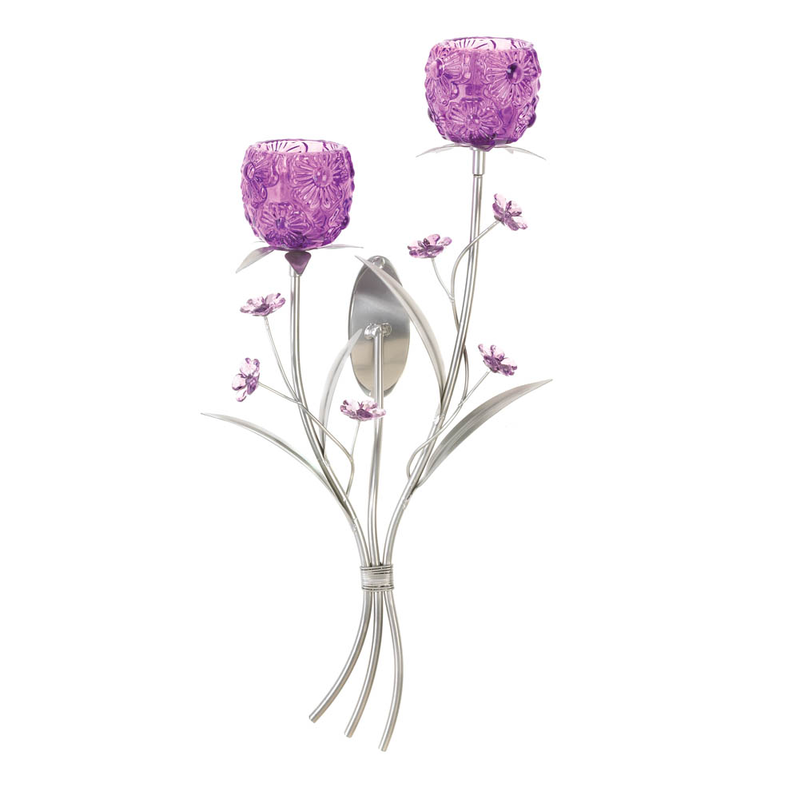 Silvery stems hold delicate flowers and two flowery candle cups that are ready for the candles of your choice. Item weight: 1.6 lbs. 8½" x 4½" x 17¼" high. Iron, glass and acrylic. Candles not included. UPC: 849179017088.